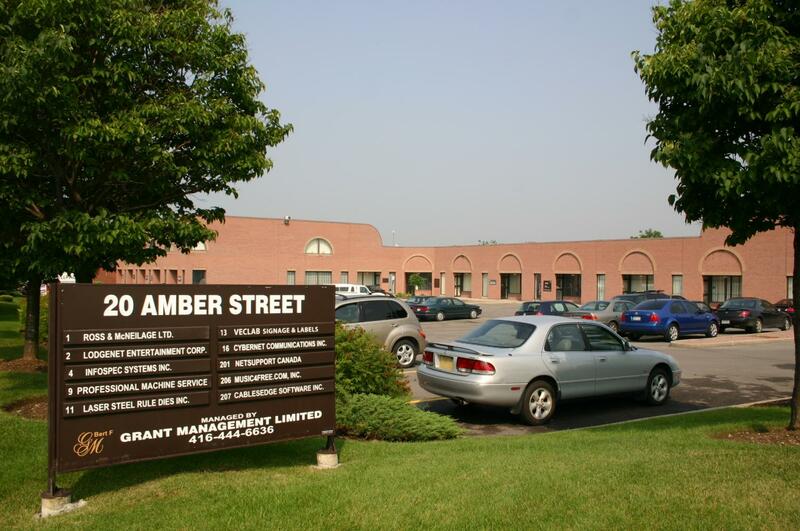 20 Amber Street is well-located in the Markham hi-tech area. 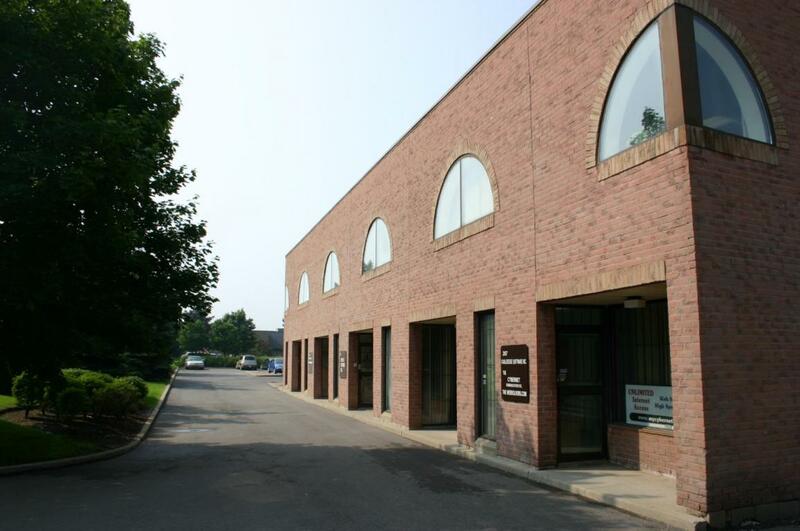 The building is a mixture of air conditioned office space and light industrial. There is plenty of free parking on the property. The windows are double-glazed and circular for a unique appearance. To get to 20 Amber Street, take Denison Street west from Warden Avenue. Turn right at the first street which is Hood Road. The first street on the left is Amber Street and the building is at the corner of Amber and Hood.